Do girls get ADHD? Ask anyone who is more likely to get ADHD, a boy or a girl, and about 90 percent of people will tell you the boy. But girls can have ADHD! Some statistics have stated that boys are about three times more likely than girls to be diagnosed with ADHD, but recent studies have found that, actually, ADHD occurs at about the same rate in boys and girls. 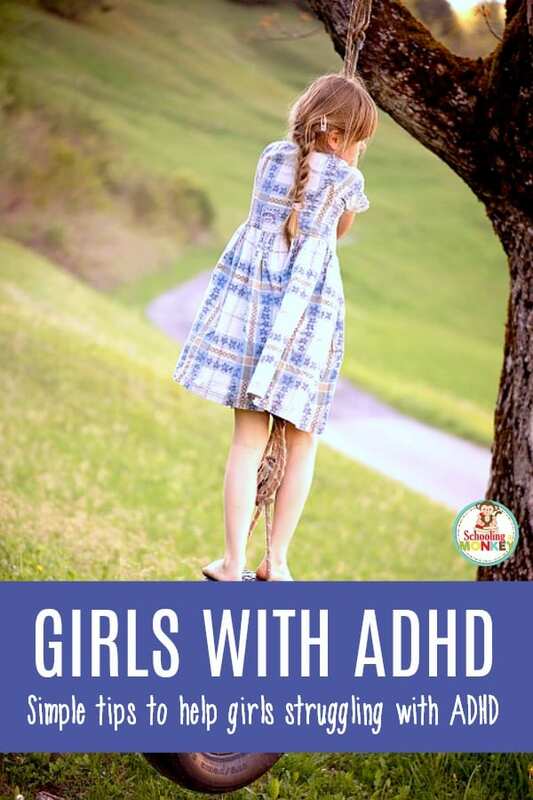 However, as a person with ADHD myself, raising at least one (and most likely, two) ADHD girls, ADHD is alive and kicking in the female populace. 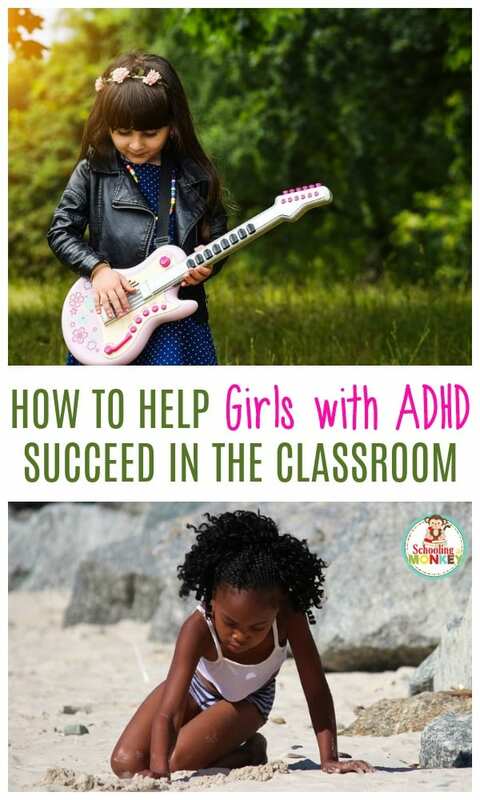 Teaching a girl with ADHD looks a lot different than teaching a neurotypical girl (or boy). 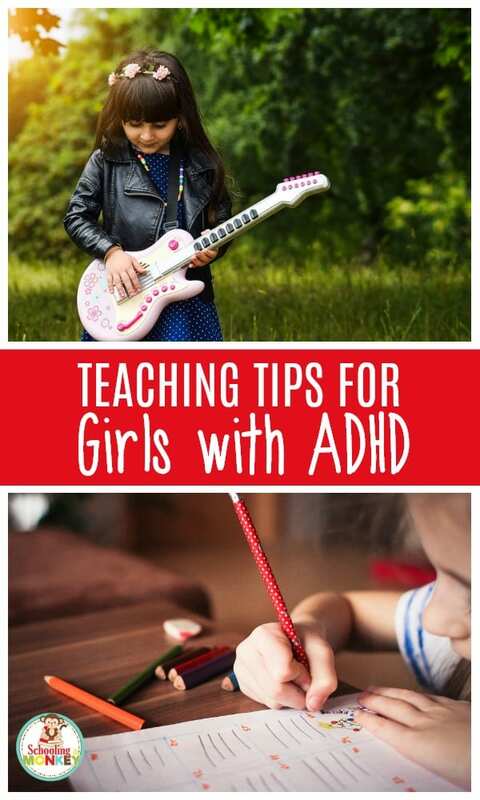 The first step to learning practical strategies for teaching and helping a girl with ADHD is to find out if your daughter actually has ADHD. 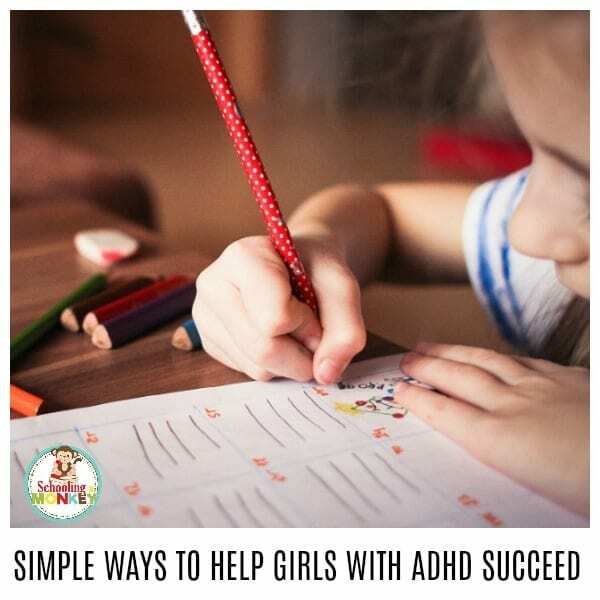 Read on to learn more about what ADHD looks like in girls and how you can help teach a girl with ADHD effectively. One of the tricky things about a daughter with ADHD is that you might not know you have one. 2. she is our eldest, so we had no one to compare her to. It was only after I taught other elementary children that I realized she was drastically different. If you already have a son with ADHD, a husband with ADHD, or a brother with ADHD, there is a high chance your daughters also have the condition. These symptoms of ADHD in girls will help you decide if a formal diagnosis may be necessary. 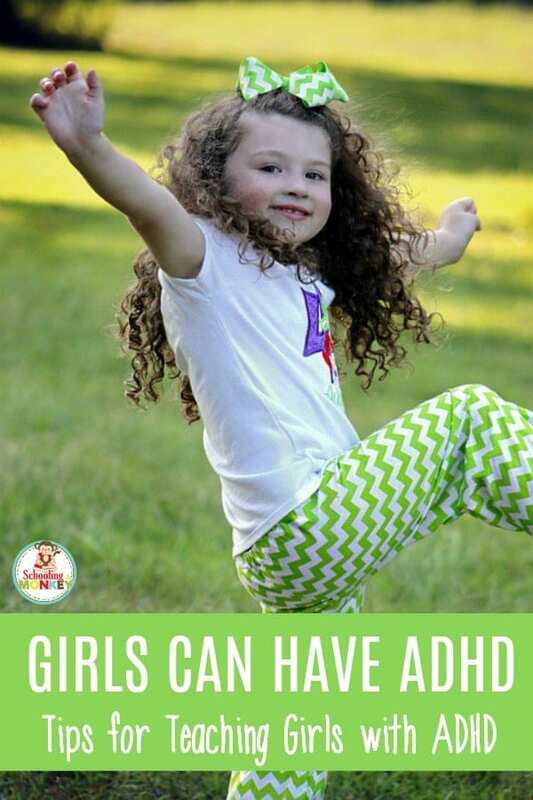 If you see any of these signs in your daughter(s) for more than six months after the age of 5-6, you might have a girl with ADHD. Not all symptoms of ADHD in girls are disadvantages. On the flip side, many girls with ADHD are more creative, musical, empathetic, and are able to multi-task. The biggest disadvantage to letting a girl with ADHD go undiagnosed is that she is more likely to self-harm, enter into depression, or become anorexic. The girl (and this definitely happened to me) doesn’t have an explanation for why she is different, so she starts to believe she is the problem. That there is something “wrong” with her that prevents here from living a normal life. In the end, she feels like a failure because she is unable to live like other girls without an enormous struggle. Giving ADHD girls a label for why their brains are different is a huge relief. Once your ADHD daughter (and you), know the “why” behind her brain differences, it becomes easier to come up with a way to meet the needs of her brain differences. 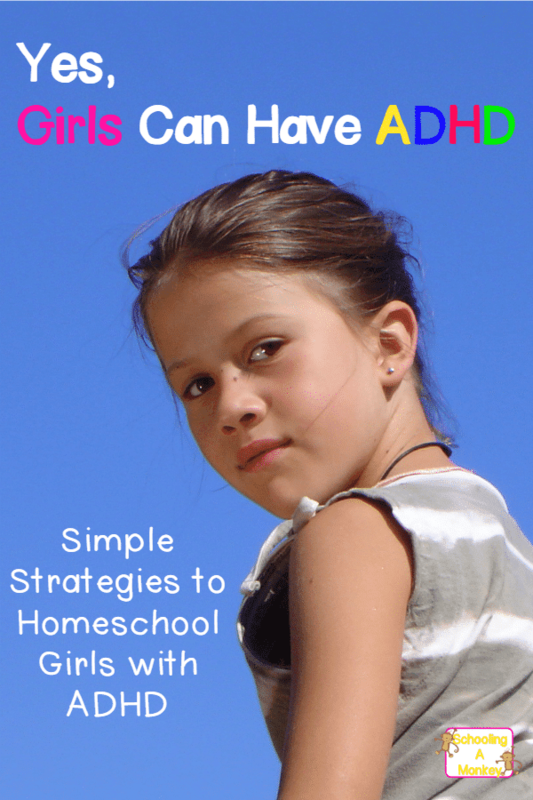 In our homeschool journey, I’ve run into two main problems when teaching a girl with ADHD. Use these tips to iron out these two common difficulties. The impulsive side of ADHD means a girl with ADHD will be susceptible to mood swings. She will instantly feel completely happy, sad, angry, outraged, or silly- sometimes all within the same day. Use these tips for regulating your own emotions and setting the stage for emotion control. Check out the complete no-nonsense guide to teaching ADHD!